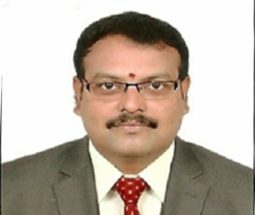 Prof. Rajesh C Kurandwad has an MBA from Karnataka University, Dharwad and has more than sixteen years of experience in both Corporate and Academics fields. He has worked in sales and marketing field for more than seven years in companies of good repute like Zydus Cadila, Times of India, ICICI Prudential, Protec Ltd. He has worked in the field of education for nine years. He has also presented many papers in National conferences. Currently he is working for Ph.D from VTU, Belgaum.